Following on from his highly praised and 4x Pacific Music Awards NZ nominated debut album ‘Otherland’, Noah Slee returns with his new single ‘Maybe’, alongside German production collaborator Delusion, to be released May / June 2018 via Majestic Casual Records. Championed by tastemakers around the world including Jamz Supernove and MistaJam (BBC 1Xtra), Annie Mac and Huw Stepehns (BBC Radio 1), Lauren Laverne (BBC Radio 6), KCRW, Boiler Room, leading online media, and festivals across Europe, Noah Slee is a force to be reckoned with, and is continuing to add to his prolific catalogue of releases with this latest jam. Delusion began turning heads with his innovative remix releases for Pham and SG Lewis which stacked up millions of streams and landed him the #1 spot on the Hype Machine charts. 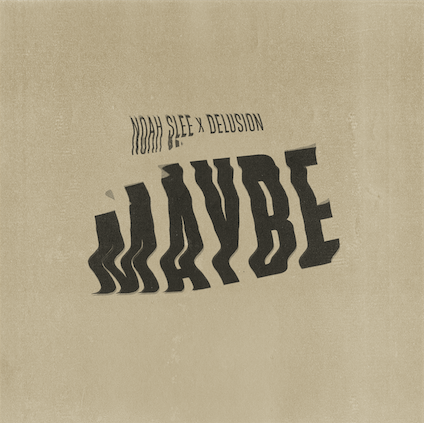 Tight production and Noah Slee‘s characteristic swagger sees ‘Maybe’ reach soulful heights, driven by textured percussion and a groove that promises to be a dancefloor filler. ”Maybe’ plays with the energy you get when you meet someone and there’s an instant connection. As long as I have been single (a while now) every encounter feels more distant and lost. When I met this guy it was different. Maybe is about the grey zone, the uncertainty, the leap your waiting for the other person to take because you don’t want to. All these things you take into consideration in such a small amount of time about someone and maybe disguise it with other things to protect yourself from taking a relationship to the next step. Simplicity of something like love can be pretty complicated. Maybe is about pursuit of connection. ‘Maybe’ is out now via Majestic Casual Records.